We're always welcoming new Zombie films. With much love towards the Romero classics, there is always fun to be had with the dead rising and becoming the UNdead, whether they're sprinting or slowly stumbling their way around. A couple of days ago a Kickstarter started up for Independent Zombie movie 'Mary Doe'. From the information given, it seems to be a fresh take on the Zombie sub-genre and one to keep an eye on and support. So read, watch the video, share and support. An endless trek across the scorched desert and the insignificant form that is Mary Doe, has exhausted all life within her. Rescued from death's door, she finds herself abandoned with five men, in the strange decommissioned government biological weapons facility of SAN EDEN. A bullet wound to the chest, her only link to the past. A toxin has been unleashed and the flesh hungry Mutants hold everyone captive. Time is running out. Mary must battle for survival as the Mutants breach the bunker walls. Lost, with no memory of who she is, Mary must unravel her troubled past and find a reason to want to live. But the secrets the bunker has buried for so long, may imprison her there forever. Who is Mary Doe? Why is she so important to this harsh, apocalyptic world? “ The make-up effects and the thrill of a new and different Zombie film fascinates everyone. 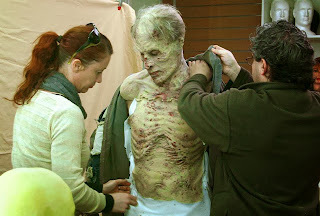 Horror fans are passionate about the genre and want to know what we are creating and what our take is on the material. The visuals are strong and they generate immediate interest and dialogue with media and fans. But the heart of Mary Doe lies with our heroine and her story. The plot delves into universal themes of being LOST and feeling displaced in the world. It echoes the tragedy and horror of WAR - the psychological crippling of individuals and the annihilation of societies. Mary Doe has the potential to establish a new and exciting mythology within the Zombie genre culture." Nick's film credits include: The Wolverine, I Frankenstein, Redd Inc:, 2:37, Nightmares and Dreamscapes, Silk, Candy, Feed, Man Thing, The Matrix Trilogy, Double Vision, Cut, Two Hands and The Island of Dr Moreau. So why should you back this project? "We have devoted a lot of time, resources and money into independently developing the project to the highest level because we believe we have an amazing story to tell and really feel it will be something fans will love as well. 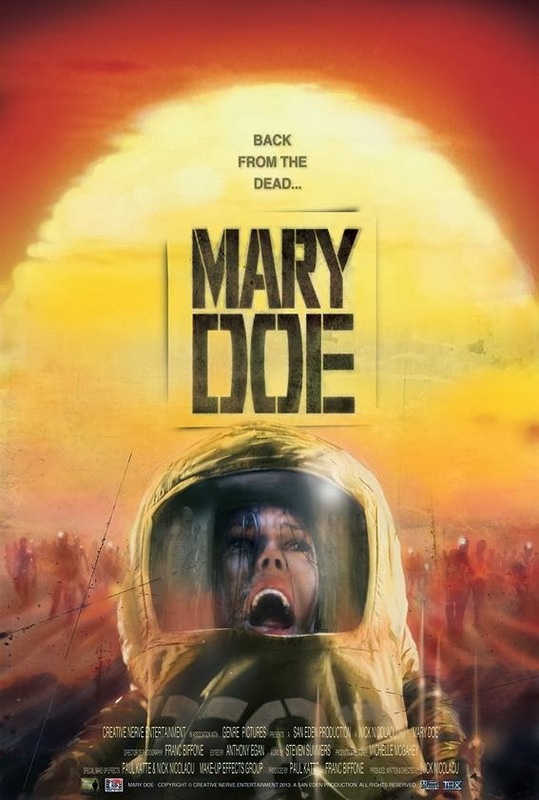 The Mary Doe Promo Trailer is an exciting part of that journey. We love this genre and are fans at heart. We grew up on these movies and have been surrounded by this wonderful genre our entire lives, through movies, comic books, games and also translating into our working lives. An ‘obsession’ is a great thing to have when your creative drive and passion are behind something that you truly believe in. We don’t for one minute take your support for granted." To find out more about the film visit the Kickstarter page and visit the pages below. Don't forget to watch the Promo trailer, which includes a message from fan favourite special effects-artist Tom Savini and most of all SUPPORT THE FILM AND HELP IT GET MADE!